Belimo is a global leader in the manufacture and supply of valves, actuators and sensors. Since 1975 they have provided innovations and quality engineering solutions to the the HVAC markets. Their gains in Room Comfort and Energy Efficiency, in over 80 countries, and operational excellence, gives the guarantee of a reliable product. Trust Belimo with the flow control and energy applications that power your factory or facility. They assist their clients by giving secure solutions, providing more comfort, ease of installation, and maintenance. 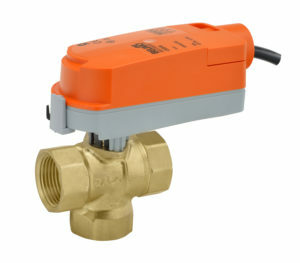 Their zone valves are suitable for commercial buildings where flexibility is desired. Common applications include unit ventilators, fan coil units, VAV reheat coils, fin tube casing, radiant panels and duct coils. The valve fits in space restricted areas and can be assembled without the use of tools. Spring Return, Electronic Fail Safe, Modulating and Floating Actuators in stock. Many products ship Monday through Friday from stock. Please contact us today for a quick and competitive price quote.